What Happens When Autonomous Cars Crash Into Each Other? 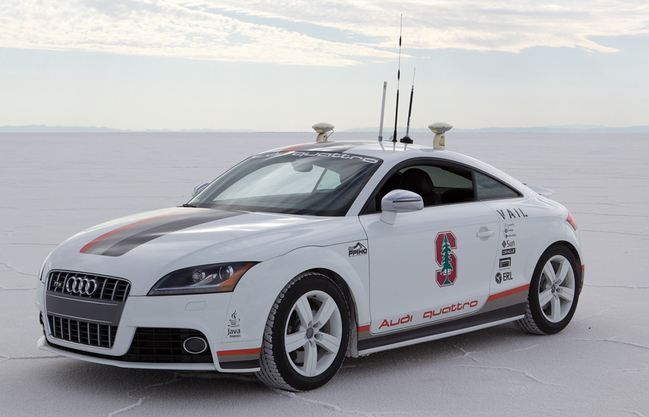 There has been some chatter hitting the headlines about a Google autonomous car cutting off an Audi driverless car. While many wild theories circulated, it seems that the scenario was a planned exercise by the companies to see how their wares interacted under real world conditions when cut off, even by another autonomous car. So what would happen if two autonomous vehicles crashed into each other?